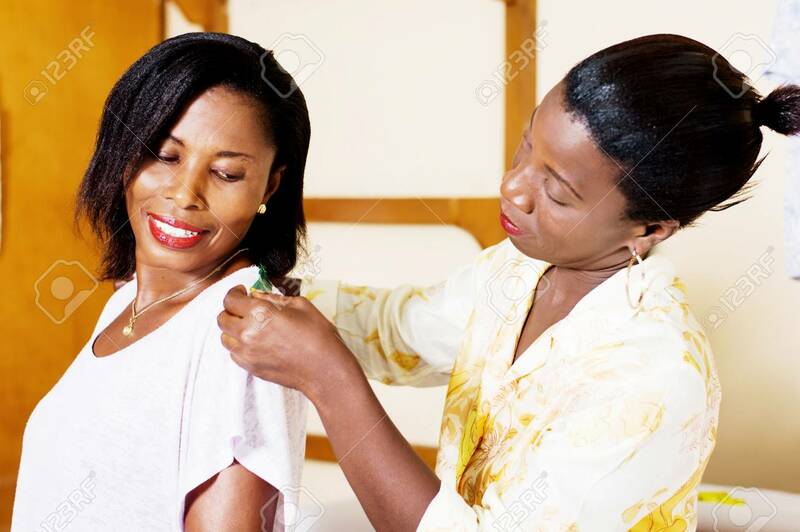 Seamstress Taking A Measure Of The Shoulder Of Her Client. Banque D'Images Et Photos Libres De Droits. Image 98428959.